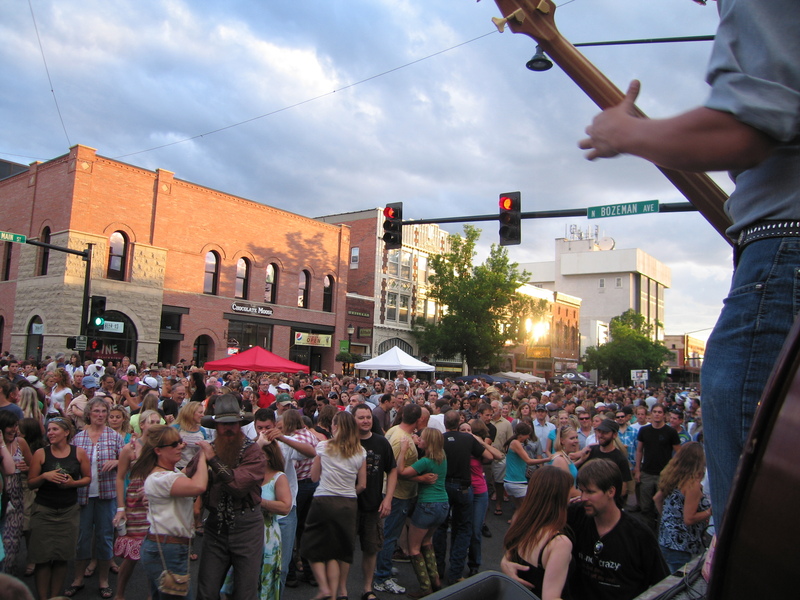 Art Walks – Downtown Bozeman and Emerson Cultural Center ArtWalks occur on the 2nd Friday of the month from June through September, 6 to 8 pm. The Gallatin Valley Farmers’ Market – From mid July through mid September, Saturday mornings from 9am- noon at the Gallatin County Fairgrounds and in partnership with the Downtown Bozeman Association, Music on Main and More. Products sold at each market must be made or grown by the vendor. 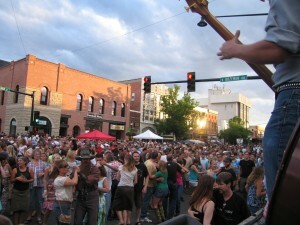 Big Sky Farmers’ Market – Every Wednesday evening from 5-8 pm in the Big Sky Town Center. Downtown Trick-or-Treat – The Downtown Bozeman Association presents a safe way to enjoy traditional trick or treating in beautiful Downtown Bozeman. Over 150 businesses welcome kids and families with candy and Halloween decorations! Hot drinks will be available outside the Downtown Visitor’s Center at 8 East Main Street. Every Halloween, Oct. 31, from 3 to 6 pm. Downtown Bozeman Christmas Stroll – Always on the first Saturday in December, come downtown to officially kick-off the Holiday Season! First, Santa Claus works his way from the Emerson Cultural Center down Main Street, singing Christmas carols and lighting the downtown holiday lights with more than 6,000 people in tow to help get people into the holiday spirit. Then enjoy horse drawn wagon rides, pictures with Santa Claus, entertainment, holiday treats and much more! 4:30-7:30 pm. Yoga for All – Open to everyone and all abilities! Volunteer and certified yoga instructor, Karen Averitt, makes yoga for parents, grandparents and caregivers fun and easy, and babies of all ages are welcome to hang out. Please bring your own mat (although we have some available) and comfy clothes — baby not even necessary! Call 582-2426 for more info.